Annand, D. (2011). Social presence within the community of inquiry framework. 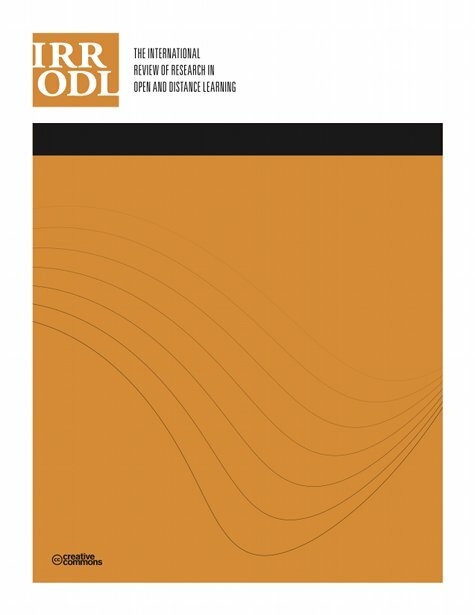 The International Review of Research in Open and Distributed Learning, 12 (5), 40-56. Athabasca University Press. Retrieved April 19, 2019 from https://www.learntechlib.org/p/49444/. Akyol, Z., Arbaugh, J., Cleveland-Innes, M., Garrison, D.R., Ice, P., Richardson, J., & Swan, K. (2009). A response to the review of the community of inquiry framework. Journal of Distance Education, 23(2), 123–136. Akyol, Z., & Garrison, D.R. (2008). The development of a community of inquiry over time in an online course: Understanding the progression and integration of social, cognitive and teaching presence. Journal of Asynchronous Learning Networks, 12(2–3), 3–22. Akyol, Z., Garrison, D.R., & Ozden, M.Y. (2009). Online and blended communities of inquiry: Exploring the developmental and perceptional differences. The International Review of Research in Open and Distance Learning, 10(6), 65– 83. Arbaugh, J., Bangert, A., & Cleveland-Innes, M. (2010). Subject matter effects and the community of inquiry (CoI) framework: An exploratory study. The Internet and Higher Education, 13(1–2), 37–44. Arbaugh, J., Cleveland-Innes, M., Diaz, S., Garrison, D.R., Ice, P., Richardson, J., & Swan, K. (2008). Developing a community of inquiry instrument: Testing a measure of the community of inquiry framework using a multi-institutional sample. The Internet and Higher Education, 11(3–4), 133–136. Bangert, A. (2009). Building a validity argument for the community of inquiry survey instrument. The Internet and Higher Education, 12(2), 104–111. Boston, W., Diaz, S., Gibson, A., Ice, P., Richardson, J., & Swan, K. (2009). An exploration of the relationship between indicators of the community of inquiry framework and retention in online programs. Journal of Asynchronous Learning Networks, 13(3), 67–83. Daniel, J., & Marquis, C. (1979). Interaction and independence: Getting the mixture right. Teaching at a Distance, 14, 29–44. Diaz, R., Swan, K., Ice. P., & Kupczynksi, L. (2010). Student ratings of the importance of survey items, multiplicative factor analysis, and the validity of the community of inquiry survey. The Internet and Higher Education, 13(1–2), 22–30. Garrison, D.R., Anderson, T., & Archer, W. (2000). Critical inquiry in a text-based environment: Computer conferencing in higher education. The Internet and Higher Education, 2(2–3), 87–105. Garrison, D.R., Anderson, T., & Archer, W. (2010). The first decade of the community of inquiry framework: A retrospective. The Internet and Higher Education, 13(1–2), 5–9. Garrison, D.R., & Arbaugh, J.B. (2007). Researching the community of inquiry framework: Review, issues, and future directions. The Internet and Higher Education, 10(3), 157–172. Garrison, D.R., & Cleveland-Innes, M. (2005). Facilitating cognitive presence in online learning: Interaction is not enough. American Journal of Distance Education, 19(3), 133–148. Garrison, D.R., Cleveland-Innes, M., & Fung, T.S. (2010). Exploring causal relationships among teaching, cognitive and social presence: Student perceptions of the community of inquiry framework. The Internet and Higher Education, 13(1–2), 31–36. Garrison, D.R., & Shale, D.G. (1990). Tilting at windmills? Destroying mythology in distance education. International Council for Distance Education Bulletin 24, 42–46. Gorsky, P., & Blau, I. (2009). Online teaching effectiveness: A tale of two instructors. International Review of Research on Open and Distance Learning, 10(3), 1–27. Gorsky, P., Caspi, A., & Smidt, S. (2007). Use of instructional dialogue by university students in a difficult distance education physics course. Journal of Distance Education, 23(1), 1–22. Ice, P. (2010). The future of learning technologies. In D.R. Garrison, & M. ClevelandInnes, (Eds. ), An introduction to distance education: Understanding teaching and learning in a new era (pp. 137–164). New York: Routledge. Ke, F. (2010). Examining online teaching, cognitive, and social presence for adult students. Computers& Education, 55(2), 808–820. Kirschner, P., Sweller, J., & Clark, R. (2007). Why minimal guidance during instruction does not work: An analysis of the failure of constructivist, discovery, problembased, experiential, and inquiry-based teaching. Educational Psychologist, 42(2), 75–86. Kupczynski, L., Ice, P., Weisenmayer, R., & McCluskey, F. (2010). Student perceptions of the relationship between indicators of teaching presence and success in online courses. Journal of Interactive Online Learning, 9(1), 23–43. Moore, M. (1993). Theory of transactional distance. In D. Keegan (Ed. ), Theoretical principles of distance education (pp. 22–38). London: Routledge. Nagel, L., & Kotze, T. (2010). Supersizing e-learning: What a CoI survey reveals about teaching presence in a large online class. The Internet and Higher Education, 13(1–2), 45–51. Shea, P., & Bidjerano, T. (2008). Measures of quality in online education: An investigation of the community of inquiry model and the net generation. Journal of Educational Computing Research, 39(4), 339–361. Shea, P., Hayes, S., Vickers, J., Gozza-Cohen, M., Uzuner, S., Mehta, R., Valchova, A., & Rangan, P. (2010). A reexamination of the community of inquiry framework: Social network and content analysis. The Internet and Higher Education, 13(1– 2), 10–21. Shea, P., Li, C.S., & Pickett, A.M. (2006). A study of teaching presence and student sense of learning community in fully online and web-enhanced college courses. The Internet and Higher Education, 9, 175−190. Swan, K. (2010). Post-industrial distance education. In R. Garrison& M. ClevelandInnes (Eds. ), An introduction to distance education: Understanding teaching and learning in a new era (pp. 108–134). New York: Routledge. Swan, K., Shea, P., Richardson, J., Ice, P., Garrison, D.R., Cleveland-Innes, M., & Arbaugh, J.B. (2008). Validating a measurement tool of presence in online communities of inquiry. E-Mentor, 2, 1–12.